This year’s Tour de Fleece is going to be a little different for me. This year, instead of spinning for volume, I’m going to be working my way through Jacey Boggs’ book, spin art. I chose a batt I’d carded of some Running Moon Farm’s colored Gulf Coast Native for the singles yarn, the “core” of the yarn. For the racing stripe, I chose a singles yarn I’d spun from a RanMar Alpacas blanket tweeded up with some bits of Gulf Coast. My predeliction for spinning in the grease jumped up and bit me in the hiney. The batt did’nt draft smoothly. At all. 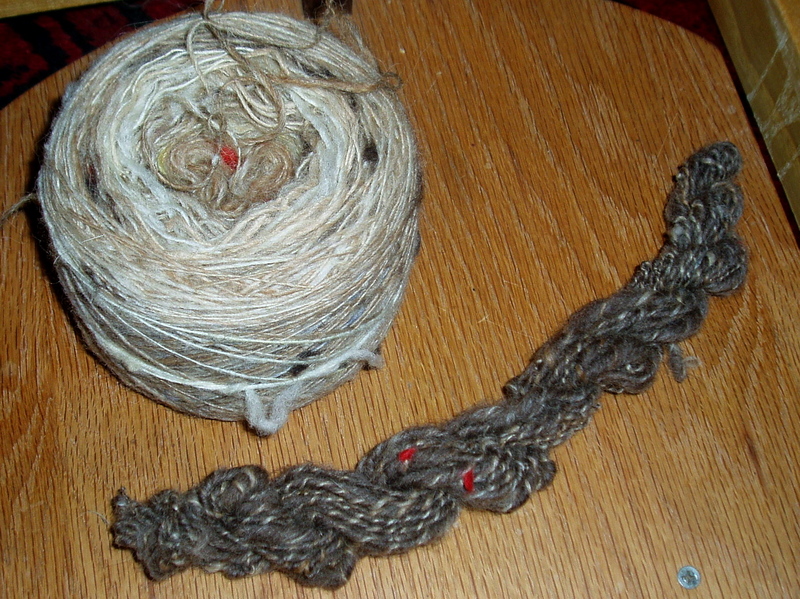 So, even though I was spinning at a low ratio with low tension, my yarn kept getting all reverso-ram-mered. The singles “yarn” that I was spinning kept wrapping around the stripe! Ha. Ahhh, Beginners Mind. 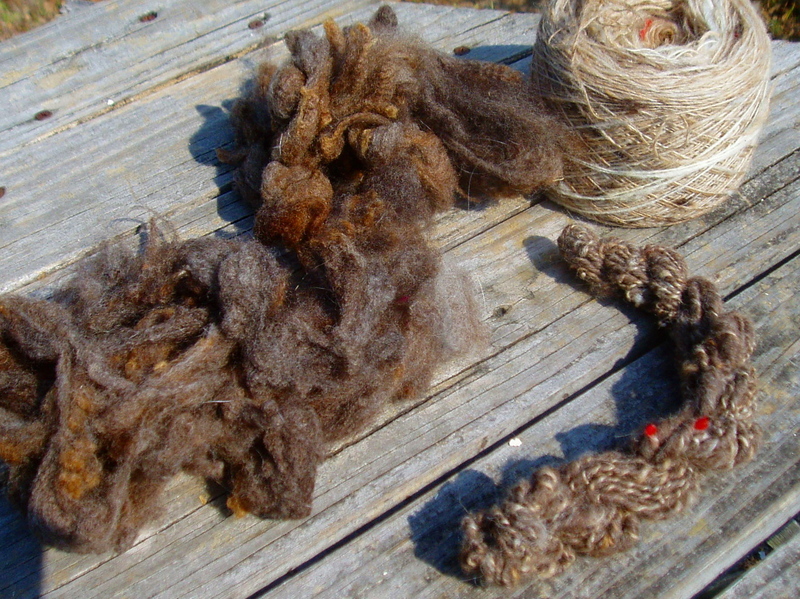 In the end, I spun 16 yards of this funny little yarn. It’s soaking right now, and I think it will relax and bloom nicely once that little bit of grease is gone. Welcome to Tour de Fleece 2012!